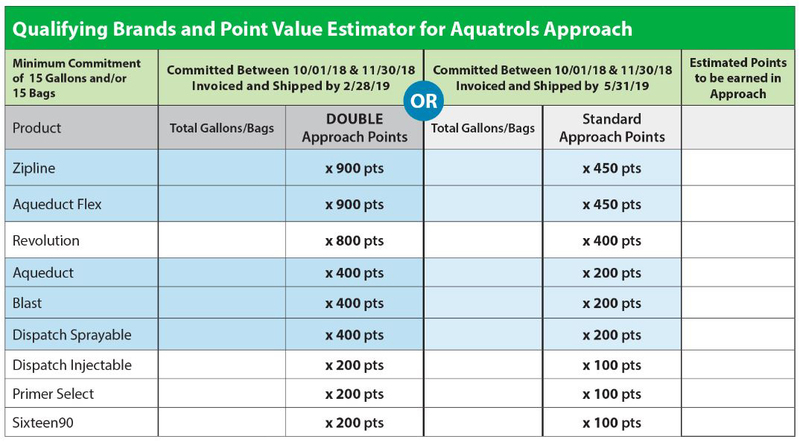 Aquatrols Approach Early Order Program members can earn Approach Points for committing and purchasing of qualifying brands from authorized Aquatrols Distributors. Approach Points are accrued during the commitment period and can be redeemed for various items during the established redemption period. Approach Points can also be banked for future use. If you need any assistance, contact Aquatrols directly at 1-856-537-6003 or Approach@aquatrols.com.